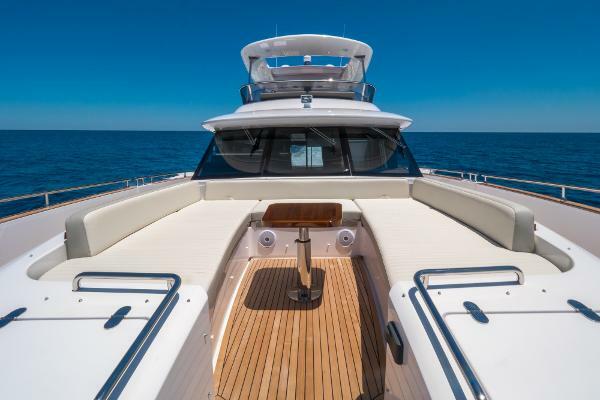 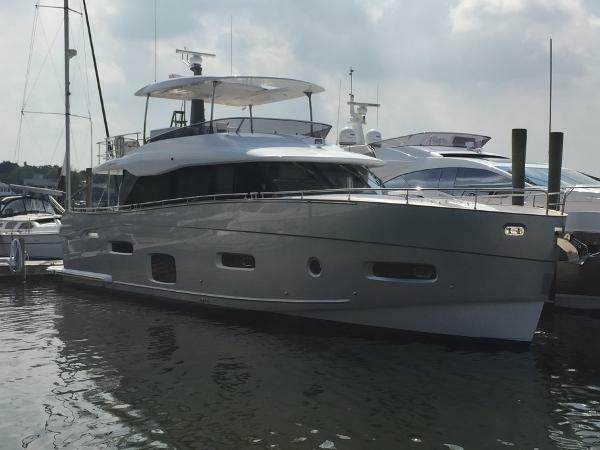 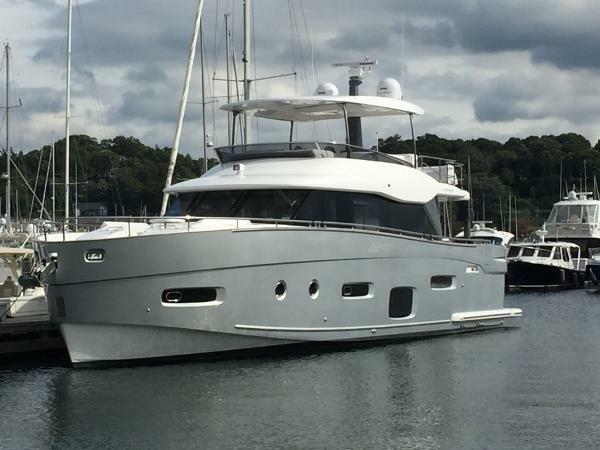 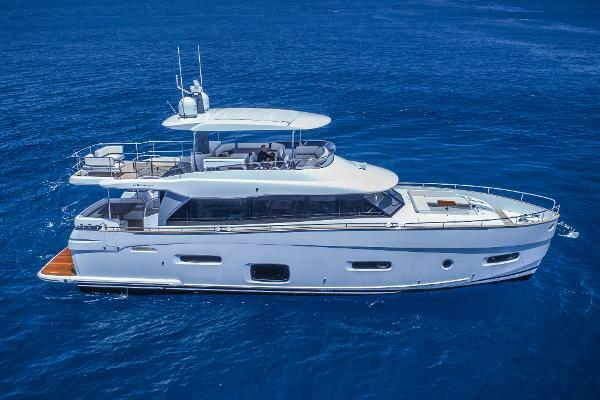 2019 Azimut Magellano 66- Just arrived in stunning Miami Silver Hull with new Metropolitan Ash Oak Interior. 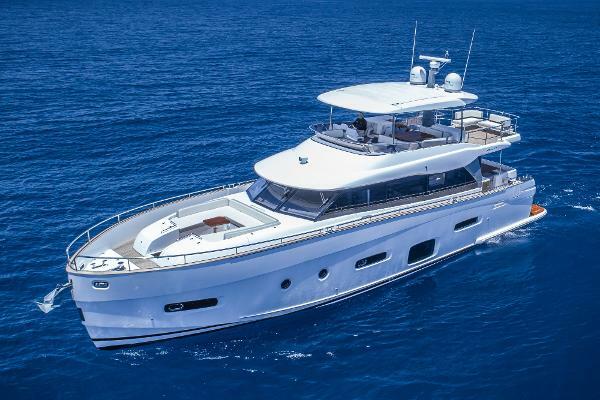 Original Factory Options to include: Miami Silver Metallic Hull Paint, Twin D13 800hp Volvo Inboards, Advanced Pack (add'l control for searchlight, proportional bow thruster, Miele appliances, Racor filters for main engines, electric mooring winches in cockpit, flagpole, chaincounter control on main helm), Lounging sofas on aft fly, Bimini shade on aft fly with removable poles, Manuevering lights on flybridge, Hardtop w electrical awning, Teak on flybridge, Add'l seakeeper control on flybridge, Washer & Dryer w separate units, Sofa bed in salon, Winecooler in salon, Cockpit furniture w icemaker and sink, Extra socket, Add'l zincs, Proportional Stern Thruster, Painted Hull Miami Silver Metallic, Central Vacuum System, Seakeeper Stabilizer system, Raymarine AIS 650 Raymarine CP100, Dishwasher in Galley, Underwater lights, Teak on side decks, Coffeee table in bow area (manual high/low), Raymarine Platinum Package, Set of towels for each guest, Set of linen for 4 cabins, Set of linen for sofabed, Wooden floor in galley, salon and helm station, Salon furniture on starboard side with sofa and predisposition for high low TV, Cockpit Chairs, Ash Oak Interior, Fourth cabin with two beds, Refrigerator aft side in galley, Cockpit table, Raymarine cameras, Co-pilot seat on flybridge and safe in master cabin. 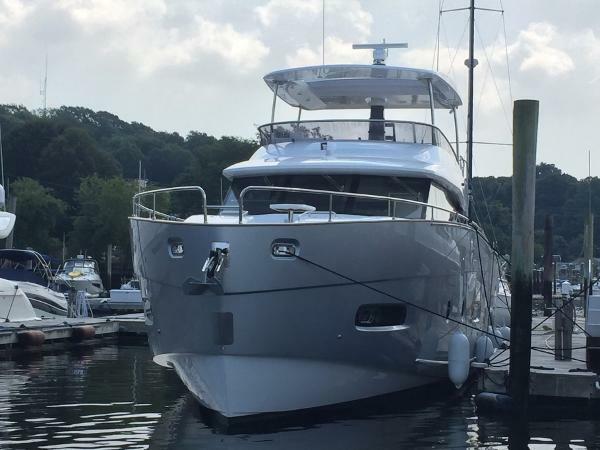 Easy to see at our docks in Huntington NY, call for appointment and showing today!